Based in Barcelona, Degray is an artist that is unique in his delivery of the dream state into the world of techno. 'Origin Part II', offers a reflective, cosmic vibe while still being held with the depth of minimal techno beats. 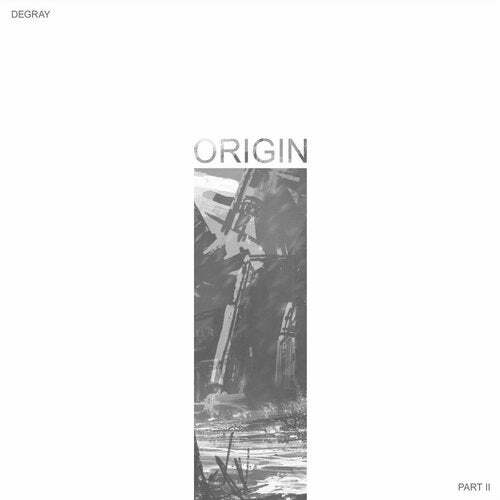 'Origin Part II' opens the EP, getting listeners swooning with ambient vibes, all the while keeping grounded with a consistent deep beat and a layering of sound to be explored. Things warm up as 'Elimination' evolves with a faster BPM, yet less fluctuation in the sound keeps the song hypnotic and focused. Degray continues playing up the dream with 'Outside the Machine', as feminine vocals carry listeners onward and upward to the heavens. Slowing things down with soft, flowy harmonics, 'Erased' is a proper end to this ambient techno EP.